Written by siluvia on 09 April 2013 . 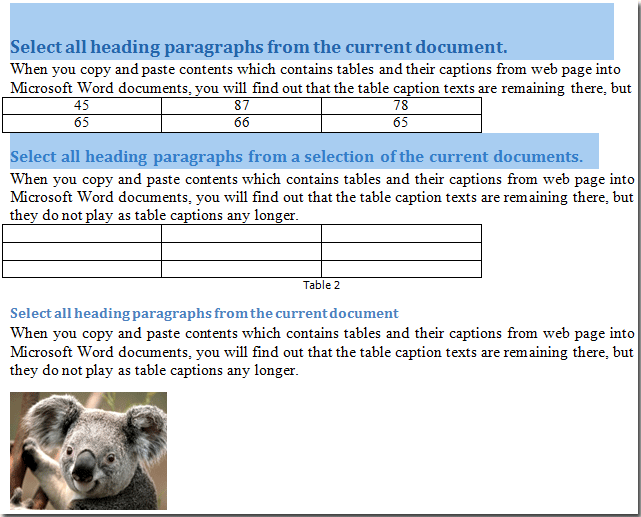 If you want to select all heading paragraphs from document in Word, how can you quickly select all heading paragraphs? 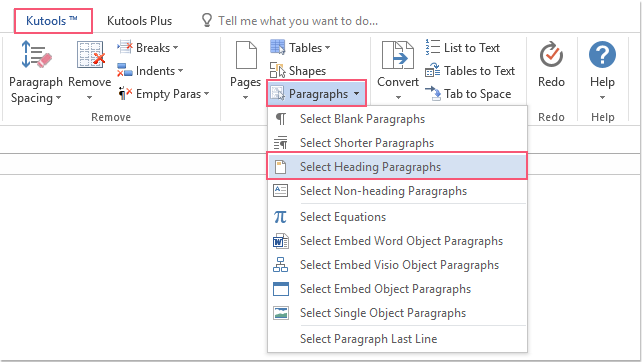 Kutools for Word’s Select Heading Paragraphs utility can quickly select all heading paragraphs with one click. 1. 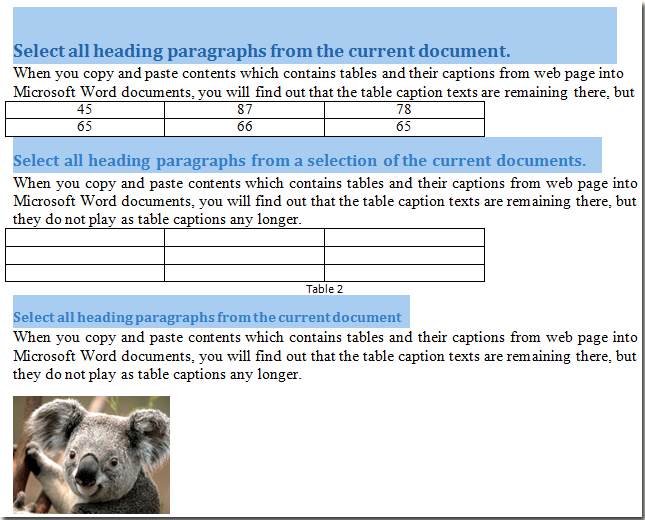 Put the cursor on the current document, and then apply the utility by clicking Kutools > Paragraphs > Select Heading Paragraphs. Note: Only the paragraph with the built-in heading style can be selected. 1. 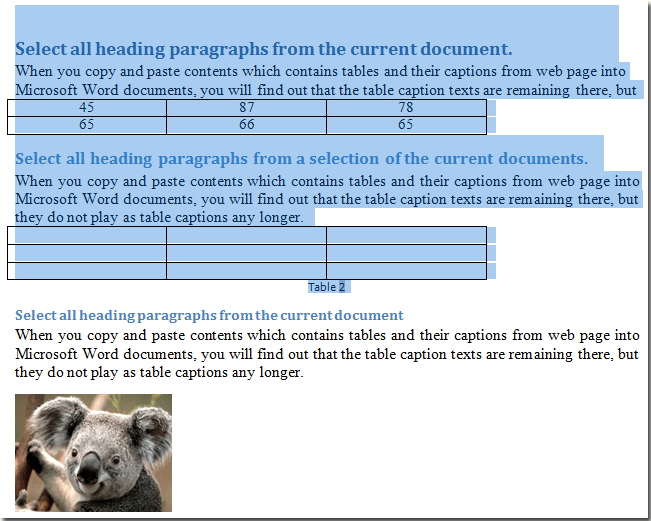 Please highlight or select a part of the document first, and then apply the utility by clicking Kutools > Paragraphs > Select Heading Paragraphs. 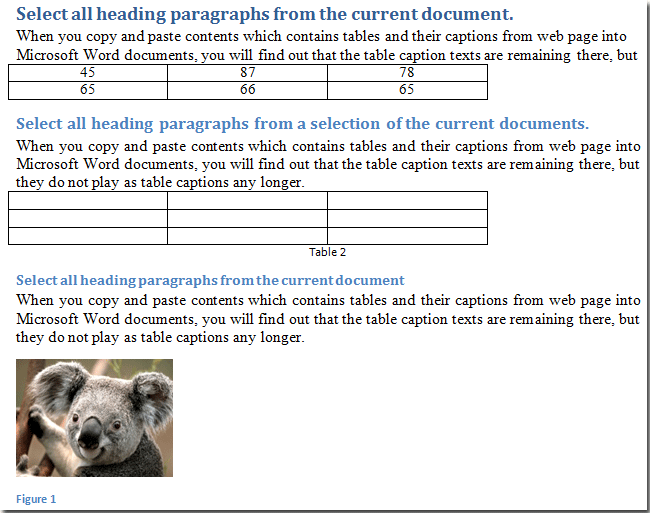 Note: Only the paragraph with the built-in heading style can be selected.